The small, picturesque town of Castro Urdiales is located along the northern coast of Spain, in the region of Cantabria. It can be reached by car in 30 minutes from the Basque city of Bilbao. 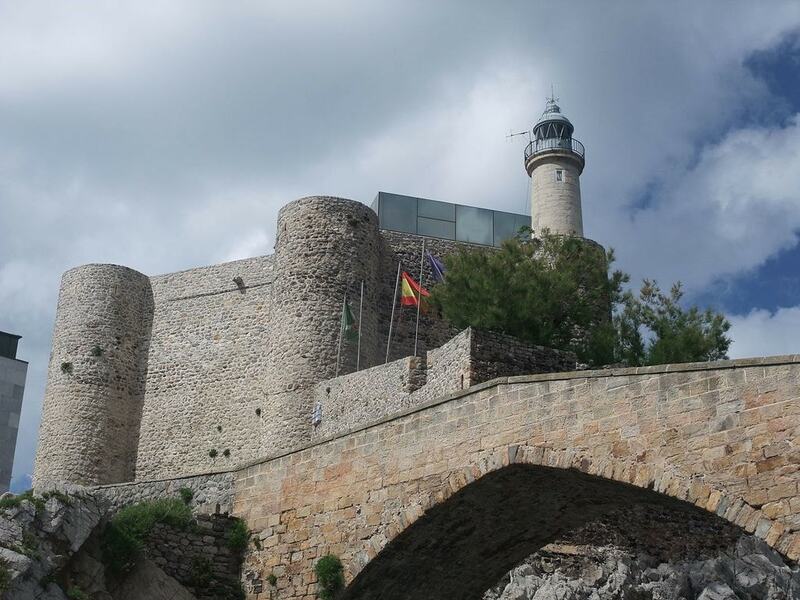 Here are our top 10 things to do and see in Castro Urdiales. This huge gothic church stands at the centre of Castro Urdiales, surrounded by green parkland and framed by rolling hills. Built in the 13th century, it is three floors high and impresses with its many flying buttresses and towers. The Hermitage of Santa Ana stands on a rocky outcrop looking out across the sea. The current building dates from 1941, however it was constructed on the site of many previous buildings, which date as far back as the Upper Palaeolithic period. The Castle of Santa Ana was built in 1163 in a classic military architectural style. It was created for defence purposes to keep the town safe from attacks from the sea. Its magnificent lighthouse was added later and was first used in 1853. Castro Urdiales’ Parque de La Barrera is the town’s main park. It sits right along the port and is great spot for strolling along leafy pathways, enjoying a picnic or taking the little ones to play in the playground. 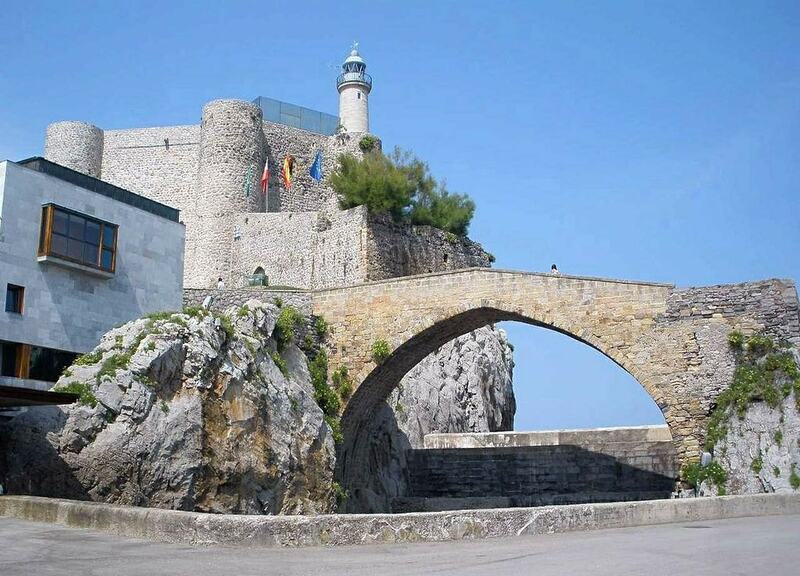 The town’s Medieval Bridge was built to provide better access to the Hermitage of Santa Ana and was constructed as a single ogival arch on top of a rocky outcrop, with the sea rushing in below. The locals often refer to it as the ‘Roman Bridge’, even though it’s gothic in style and dates back to the medieval times. Refurbished over the last few years, visitors can still walk across it today. Castro Urdiales is lucky enough to have several beaches, but if you’re into surfing, then it’s best to head east towards Bilbao. Just 14km from the town you’ll find the tranquil village of Zierbena and the Playa de la Arena, which has excellent swell, perfect for surfing. At the centre of Castro Urdiales stands the Town Hall Square, fronted by the castle-like Ayuntamiento (Town Hall) itself and surrounded by elegant porticoed arches. It’s the perfect place to stop for a coffee or a cool drink at one of the many cafes around its outside. The grand Avenida de la Constitución sits alongside the Parque de La Barrera, next to the sea, and offers some of the best views in the whole town. As you stroll up here, catch some splendid views of both the Church of Santa Maria de la Asunción and the Castillo y Faro de Santa Ana. The town’s main beach is Ostende, which is one of 13 Blue Flag beaches located across Cantabria. Stretching for 900 metres, it has dark golden sand and a number of facilities such as showers, changing rooms and toilets. The northern Spanish coast is known for its excellent quality seafood, so you can’t make a trip here without sampling some. One of the best places to dine on seafood in Castro Urdiales is the charming and traditional Mesón Marinero, which serves everything from oysters, clams and spider crabs to prawns, hake fish, cod and lobster.